with care and skill” is like “a picture painted which leaves in the mind of him who contemplates it with a kindred art, a sense of the fullest satisfaction. It is generally agreed by literary critics that Anton Chekov (1860-1904) is the greatest short story writer ever. William Boyd in his essay A Short History Of The Short Story states that the simple reason for this is that Chekhov, in his mature stories of the 1890’s “revolutionised the short story by revolutionising narrative.” This new form of short story introduced a fictional style that corresponded with the random, inexplicable and sometimes agonising lives we all lead- Chekhov abandoned the old authorial manipulation of a story for one not striving for a climax and with characters who speak for themselves without censure or praise. His cool, unflinching, dispassionate attitude to the human condition resounds in writers as diverse as William Trevor and Raymond Carver, Elizabeth Bowen, John Cheever, Muriel Spark and Alice Munro. Some of my favourite short story writers include F.Scott Fitzgerald especially his collection ” Flappers and Philosophers ” and the works of Flannery O’Connor whose story A Good Man is Hard to Find is one of the finest in literary history. The beauty of Alice Munro’s prose is a joy for any reader and her often melancholy tales of small-town Canadian life demonstrate the gentle power of the short story at its best. . Kevin Barry is a new voice in Irish Fiction who writes dark, blackly hilarious and realistic narratives. His short story “Beer Trip to Llandudno” won the Sunday Time’s award last year and having seen him give a very animated reading at a literary festival I began to read his work most notably the short story collections Dark Lies the Island and There are Little Kingdoms. Barry is able to breathe life into characters and make them engaging to the reader; amateur ale enthusiasts on a beer trip to Wales when portrayed by Barry become “sweet, funny and unexpectedly moving” – his account of a hotel owner’s experience in a remote part of Ireland where ” it rained two hundred and eighty seven days of the year, and the locals were given to magnificent mood swings” is especially entertaining. 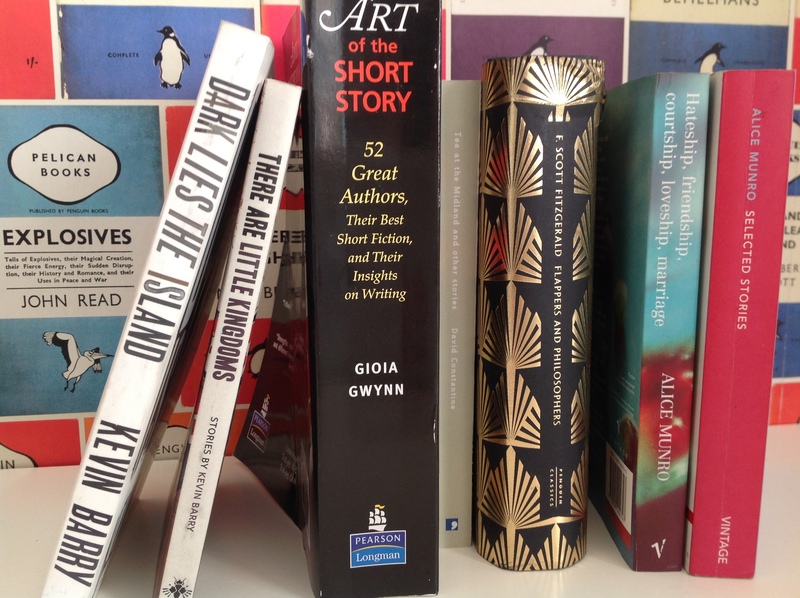 Short story collections are ideal to read when the reader wants to commit less time to the experience than that required when reading a large novel. The journey can be all the more entertaining despite its brevity and when vividly told the story allows readers to live momentarily but memorably beyond the confines of their own individual existence.